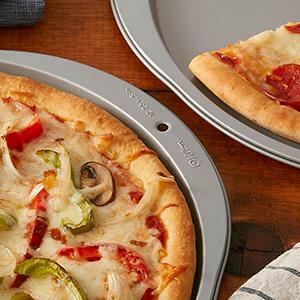 Be it breakfast muffins, carrot cake, cookies or homemade pizza, our durable steel pans have a non-stick coating that ensures quick release and they’re dishwasher safe for easy cleanup. 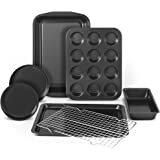 Convenient handles make them easy to hold on to while moving them around the kitchen, and we even include a plastic cover for the rectangular pan that enables you to take your baked goods with you on the road. 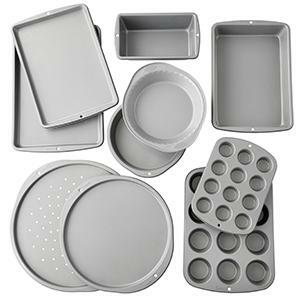 Whatever you're baking, Recipe Right pans are the right fit for the job. 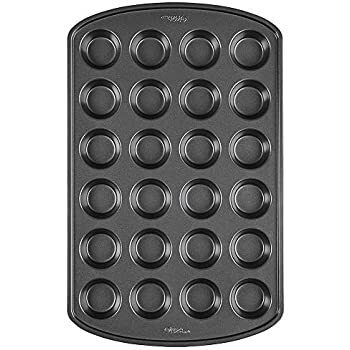 Our pans are built with a reinforced non-stick coating that releases food easily, with a minimum of fuss. The edges of our pans are widened to make convenient handles that make it easier for oven-mitted hands to get a secure grip. 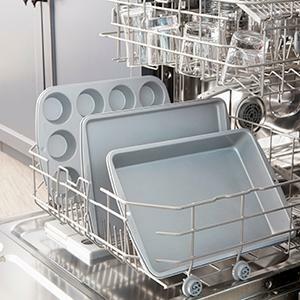 No one likes cleaning up, so we've made our pans dishwasher safe so you can make your time in the kitchen more about the love, not the scrub. 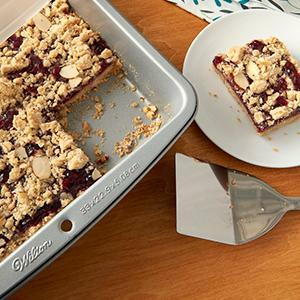 We love our wilton muffin baking pan. 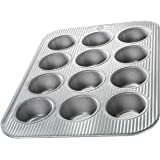 We first ordered the Wilton Jumbo muffin pans to make our weekly egg muffins. This size allowed us to fill them with the veggies we desired without the overflow we experienced with a regular sized pan. 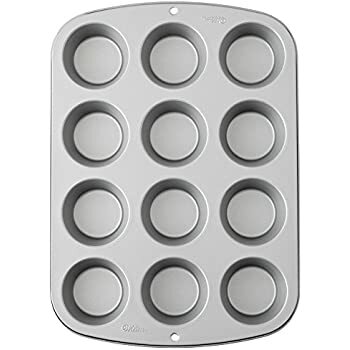 This pan was so great and the non-stick so effective that it lead to this purchase of this size pan for regular muffins. We make muffins at least 1-2 times a week. 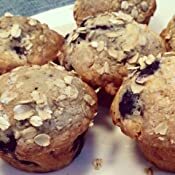 We make egg muffins, corn muffins, apple/banana (with almond flour), cashew oatmeal muffins, etc. What we LOVE, is the non-stick factor. 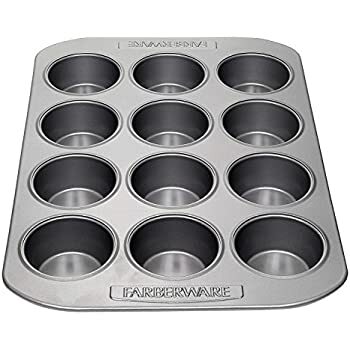 Our last pan was very old and no matter how much Pam spray or other type of coating we put into the muffin cups, the muffins would stick and the pan was a nightmare to clean. 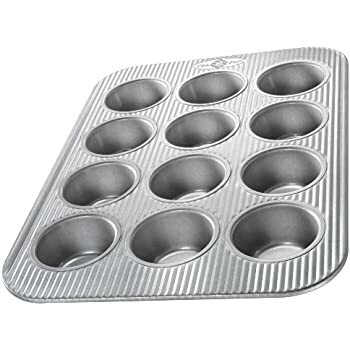 Now, we lightly spray the pan and the muffins pop out with ease and clean up is easy and fast. Would order again for sure. Great muffin pan. 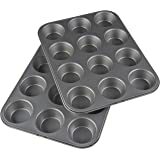 Used this to bake blueberry muffins for the first time in my life. I used butter to grease the pans instead of liners because I didn't have any on hand and the muffins popped right out cleanly without even a single crumb stuck onto the pan. 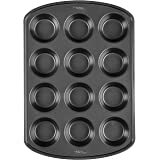 Looking forward to using this for future baking adventures. Very happy with this purchase. 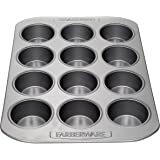 I have every cupcake pan made on the market, even very expensive ones. I always come back to this pan, always. 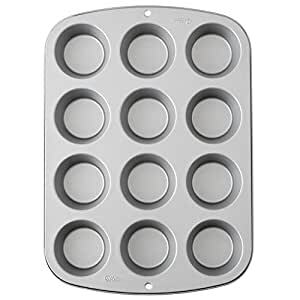 It is superior to the other pans. I can also fit two side by side in my full size oven with room for air to circulate. 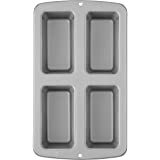 Some of the other pans are too wide so the pans touch or are too long and the oven door hits the pan. 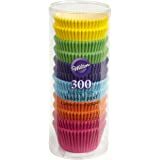 These are perfect and always bake evenly. The expensive pans I bought from a high end kitchen store was a waste of money but THESE pans are excellent. Lovely product. Metal is very heavy duty. 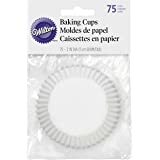 The quality is up there with the rest of Wilton's products that I have been using for over 40 years. I baked corn muffins and they came out perfectly brown and golden. I can’t really speak to the non-stick properties of the pan because I used muffin cups but batter I spilled on the top cleaned up easily. Don't wash in the dishwasher or scrub hard as that will ruin the finish. 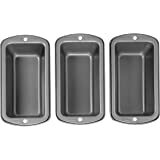 I just got these pans. I should have upgraded years ago. 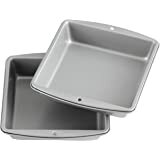 My cheap Ecko pans were horrible. 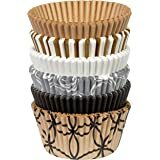 The old pans were rusted and burnt my cupcakes. These pans have cooked evenly and in the time the recipe calls for. As for those people crying about the seams catching food, well my old pans had two lines for seams to catch food. It's called washing your pans. When food is stuck, throw a wet wash cloth over the offending area with some Dawn Dish Soap and odds are it will come clean. So far these pans have not held onto their food because they are new. 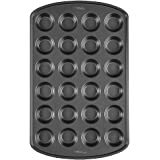 They have a non stick surface and things just pop off. 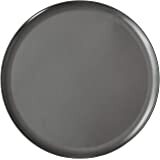 As with any non stick surface this will change over time, or not??? One can hope right? The price is amazing on these pans right now. 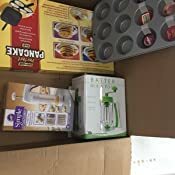 I got my pans the day after I made the order. WOW!! Again, these pans were a dream. They are heavy, cook even, non stick, clean up easy... As I see it negative comments always happen. Use your common sense and decide if this is really their problem or a problem with the product. For me, it's their problem. If you put half the effort into cooking and cleaning you get half the quality. Great non-stick banking pan. 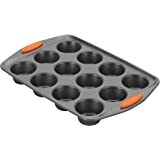 I started using this for baking breakfast egg muffins. It works great so I'm getting another. 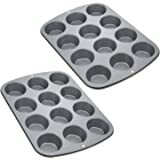 After ruining my cupcake/muffin pan while making crayons (You know, you melt the broken ones into a big new one. Somehow the wax got through the liners I used and messed up my pan.) for my daughter, I needed a new one. Over time, my old one had lost its non-stick coating and stuff was sticking to it badly. I was used to that and so I wasn't ready for how slick and easy to clean this one was. 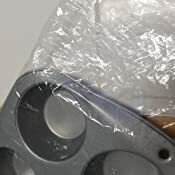 I've read that non-stick coatings are probably unhealthy so I still use liners on my food, but sometimes batter gets on the sides and burns and is hard to get off. All those little bits came right off my pan! I didn't even have to scrub! 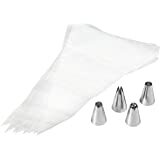 I used these to make baked eggs. 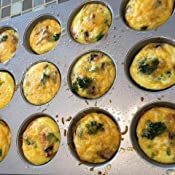 The eggs came right out, and I didn't have to spend 15 minutes scrubbing it like I did with my other muffin tin. There was no egg left behind and it took less then 3 minutes to clean.